Fantastic!! Love the expression on his face. 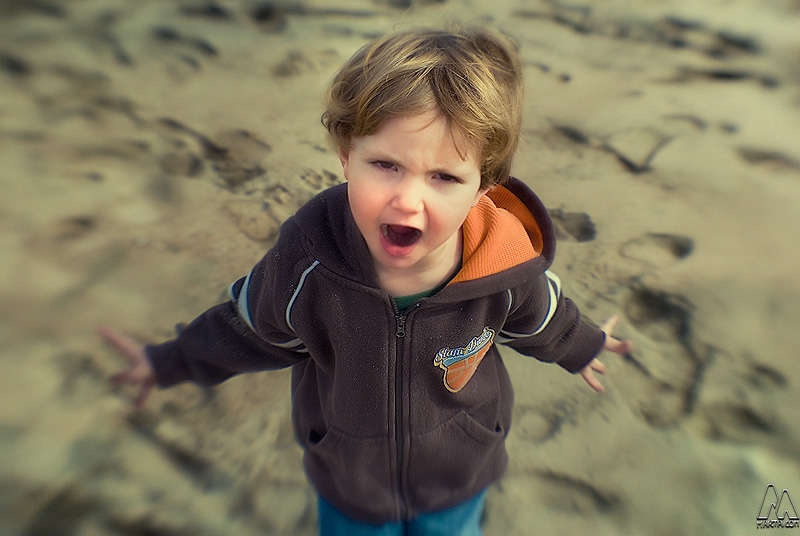 Not easy to pick up your camera and take pictures of your child when they're yelling at you. Good for you for capturing this moment!!! I was asking me how you can have such dof... until i saw you've used lensbaby ! Really great. I liked the lensbaby effect! Lovely shot!! Uh oh! I've seen that kind of look before! Love it! this is just an adorable moment. I thought that it was the lensbaby , and I was right. Good use of the lens. WoW - the Lensbaby works so well! In combination with this little man - beautifull! Buen retrato Marta, me gusta la expresion de LIBERTAD en la cara de este niño. Como siempre Marta magnifico retrato, lleno de fuerza y vitalidad, un saludo. Hahaha - Lovely capture of his emotions!! I think his gesture adds a lot to picture's dynamic, awesome expression. nice shot. the mood is great. Great image with a lot of character! Ja li agrada que el treguis rondinant? Ben mirat, és igual, gràcies a l'enrabiada tens aquesta magnífica foto! Quan sigui gran t'ho agraïrà! Una abraçada. Excellent!!! Love the full expression on his face. Ups, you have to be careful or you might get your camera broken. Good shot!